you’re coming – what now? 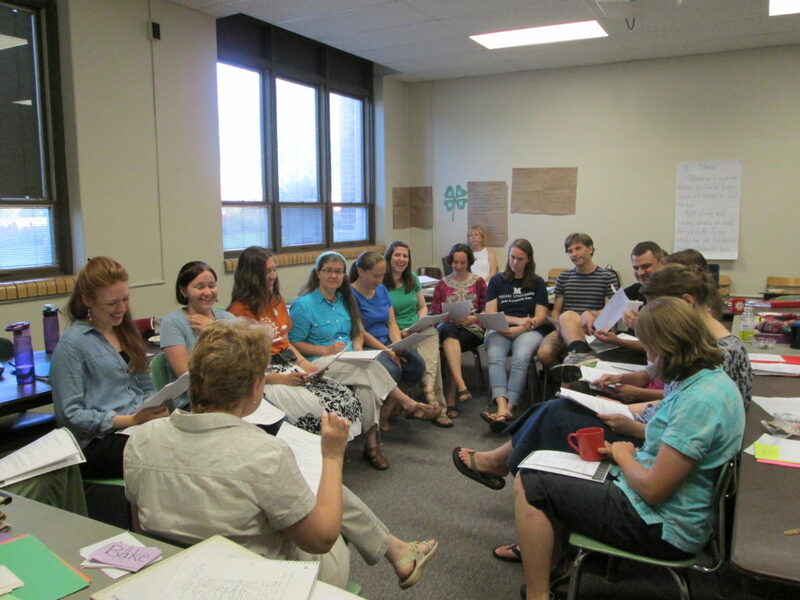 The summer of 2019 will be the last time that we teach the Literacy Megacourse at UND. This time, we are not able to offer the Graduate Certificate, so you will need to enroll in the program as a nondegree student. This will not change the content of the course–it’ll still be its normal, awesome self, led by an outstanding teaching team with years of field experience! 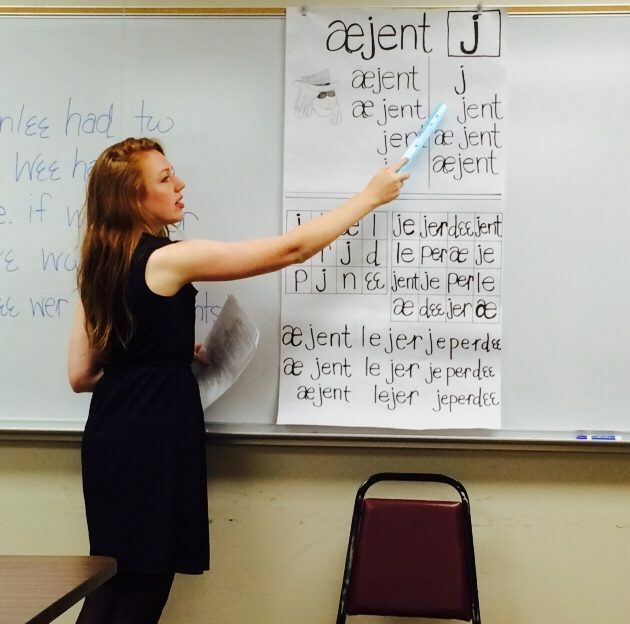 The literacy megacourse will help prepare you to be a literacy specialist in a local language community. With this training, you’ll be able to assist a community develop its own literacy and multilingual education programs. Graduate students who take this package can use it to earn a Certificate in Community-Based Literacy as Applied Linguistics or include it in the M.A. in Linguistics. So, what’s in this package? Lots: training in reading theory, different approaches to basic literacy, the theory and methodology of designing a range of pedagogical materials, principles of designing and testing a writing system, and an introduction to the full range of issues involved in designing and implementing a literacy program. To take any of these courses, you should either have previous training in linguistics (such as our package a courses), or a background in education. If you want to serve as a Literacy and Education Specialist with SIL International, you should plan to take a minimum of two summers of courses–one of general linguistics and one consisting of the entire Literacy Megacourse. Ling 520: Community-based Literacy 2019! Foundational issues of community-based literacy in multilingual societies. Upon completion of this course, students will be able to: (a) explain in detail the inter-relationship between illiteracy, poverty, politics, and environment; (b) identify and describe the major movements and trends in literacy; (c) explain and teach the principles of adult education; (d) identify the major “players” in the field of adult literacy; (e) explain the major issues involved in developing a multilingual educational program for school children. Ling 521: Literacy Program Planning and Management 2019! Upon completion of this course, students will be able to: (a) explain, with examples, change processes in traditional communities; (b) design a complete literacy program; (c) explain alternative strategies for designing and managing a literacy program; (d) evaluate the need for external funding in a literacy program; (e) do detailed costing for a literacy program; (f) write a funding proposal for a literacy program; and (g) use the LinguaLinks Electronic Performance Support system and access relevant Internet resources. Ling 522: Materials and Methods in Literacy 2019! Upon completion of this course, students will be able to: (a) explain some of the major theories of reading and the history of their evolution; (b) explain, describe, and critique various instructional strategies for teaching reading; (c) design instructional materials from any one of five different strategies for teaching reading; (d) design teacher training protocols for literacy programs; (e) design testing protocols for reading materials; (f) develop instructional materials for transitional literacy programs; (g) organize and direct a writersí workshop; (h) explain the need for post-literacy materials and how to develop these. Ling 530: Introduction to Writing Systems 2019! Pre-/Corequisites: Either: a) prerequisite Ling 470 (Intro to Sociolinguistics, or equivalent) and pre- or corequisite Ling 451 (Phonology 1, or equivalent); or b) pre- or corequisite Ling 520, 521, 522 (Literacy Megacourse). Introduction to the principles of designing and testing a writing system. Attention is given to linguistic, sociolinguistic, educational, psycholinguistic, political/ideological, production and implementation issues in orthographic development. Some summers it is offered as a regular classroom course; in other years it is a hybrid online/classroom course with most work being done online and just a few class sessions. On this website, we’ve described some courses informally. If you want the official descriptions, see the UND academic catalog.